Rebelito’s Refreshments, Magsaysay Blvd corner Rueda St. Indulge in snacks like halo-halo (dessert of shaved ice and evaporated milk) and siopao (steamed buns with chicken or pork filling). S.O. Cafe, Nijaga St; +63 55 209 4308; facebook.com/socalbayog. Tuck into savory meals like burgers and sandwiches, and an assortment of baked goods. Bangon-Bugtong Falls. Take a tricycle and then a habal-habal to this splendid three-tiered waterfall, where the waters cascade into a circular pool. Caving. 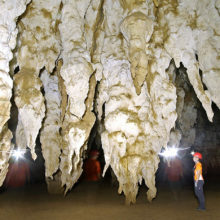 Daredevils should try their spelunking at sites like Sohoton Caves, Danao Cave, Bologno Cave and Tinogo-An Cave. The larger province of Samar is home to numerous cave systems, and is known as the Caving Capital of the Philippines. Malajog Ridge Nature Park, Brgy Malajog; +63 917 272 5291. Looking for a thrill? Go for a 750m-long zipline ride, stretching from the ridge all the way to a nearby islet. You’ll then have to take a boat back to Malajog beach. Mapaso Hot Spring. Don’t expect fancy spa facilities here. This is a basic but nonetheless invigorating hot spring that’s a great antidote for sore muscles. Mawacat Slide. Take a fun slide down this mossy, spoon-like natural passage, before plunging into the cool, clear waters below. Sarakiki-Hadang Festival. This colorful street festival takes place every September. Don’t miss the locals performing a dance inspired by the movements of the rooster, which is performed to bring a bountiful harvest. 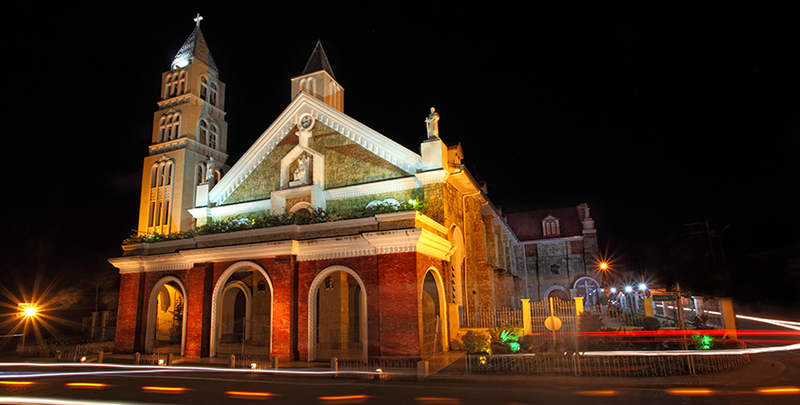 St Peter and Paul Cathedral, National Highway corner Rueda St. Pay a visit to this century-old, Spanish-era cathedral, which is one of the most prominent landmarks in the city.